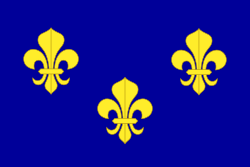 Kingdom of France and the Holy Roman Empire. 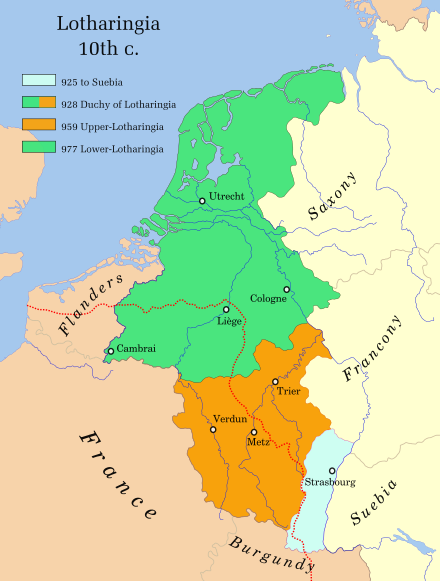 Carolingians descended from Charles Martel be merged into this section. (Discuss) Proposed since April 2018. 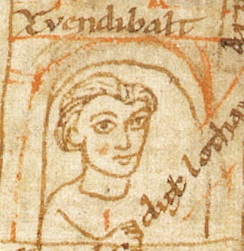 Dorestad (Middle Francia) after 850. 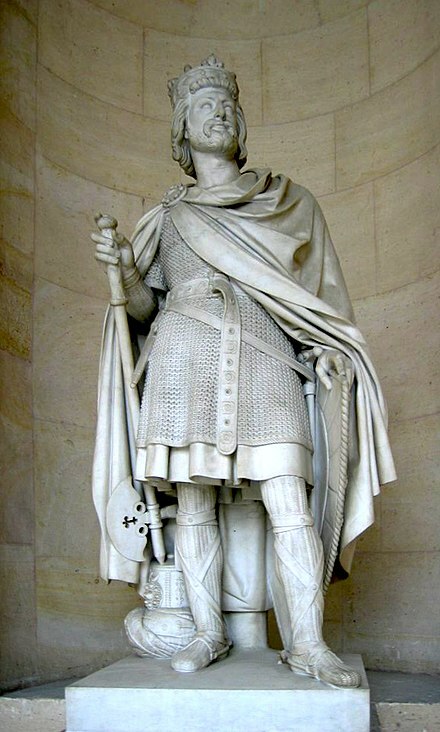 Louis V of France in 987. 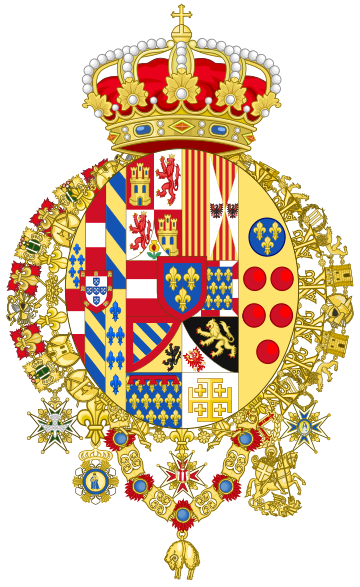 Charles, Duke of Lower Lorraine, the Carolingian heir, was ousted out of the succession by Hugh Capet; his sons died childless. Extinct c. 1012. Wikimedia Commons has media related to Carolingian dynasty. Charlemagne and the Carolingian Empire". www.penfield.edu. Retrieved 2017-11-30. ^ Lewis, Andrew W. (1981). 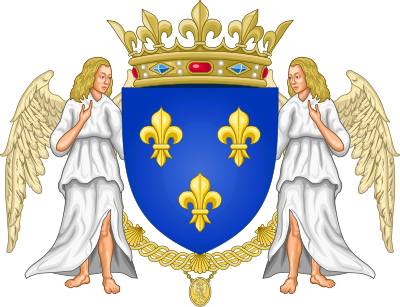 Royal Succession in Capetian France: Studies on Familial Order and the State. Cambridge, Massachusetts: Harvard University Press, p. 17. ISBN 0-674-77985-1 ^ Palgrave, Sir Francis. 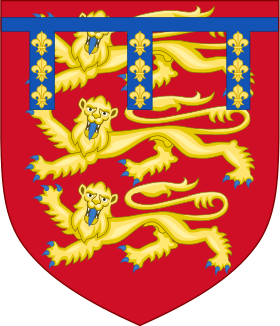 History of Normandy and of England, Volume 1, p. 354. ^ Bachrach, Bernard S. Early Carolingian Warfare: Prelude to Empire. Philadelphia: University of Philadelphia Press, 2001, p. 1. ^ Bachrach, 52. ^ Bachrach, 55. ^ Bachrach, 58. ^ Bachrach, 64. ^ Bachrach, 65. ^ Bachrach, 49-50. 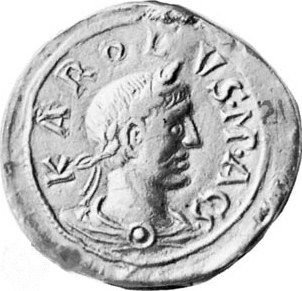 Charles the Fat and the end of the Carolingian Empire. Cambridge University Press: 2003. Leyser, Karl. Communications and Power in Medieval Europe: The Carolingian and Ottonian Centuries. London: 1994. Lot, Ferdinand. (1891). "Origine et signification du mot «carolingien»." Revue Historique, 46(1): 68–73. Oman, Charles. The Dark Ages, 476-918. 6th ed. London: Rivingtons, 1914. Painter, Sidney. A History of the Middle Ages, 284-1500. New York: Knopf, 1953. "Astronomus", Vita Hludovici imperatoris, ed. G. Pertz, ch. 2, in Mon. Gen. Hist. Scriptores, II, 608. Reuter, Timothy (trans.) The Annals of Fulda. (Manchester Medieval series, Ninth-Century Histories, Volume II.) Manchester: Manchester University Press, 1992. Einhard. Vita Karoli Magni. Translated by Samuel Epes Turner. New York: Harper and Brothers, 1880. Legend: → ≡ "father of", * ≡ "brother of"
Francia was in the hands of the Robertians from 888 until 898. 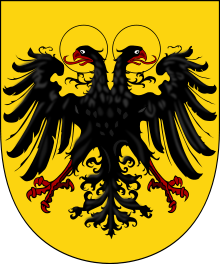 It was the last Carolingian kingdom.